The Ukrainian army occupied a village in the neutral zone of the Donetsk People’s Republic on October 10, the Press Center of the Ukrainian army’s Joint Forces Operation Staff reported on Facebook. According to the report, the Ukrainian army performed “a sweep and clear operation” in a village of Volnovakhsky district. The special operation allowed the Ukrainian forces to advance by 1.2 kilometers closer to the territory of the Donetsk People’s Republic. According to a number of media outlets and experts, the Ukrainian army regularly extends the territory under its control into the “grey zone” in violation of the Minsk agreements. 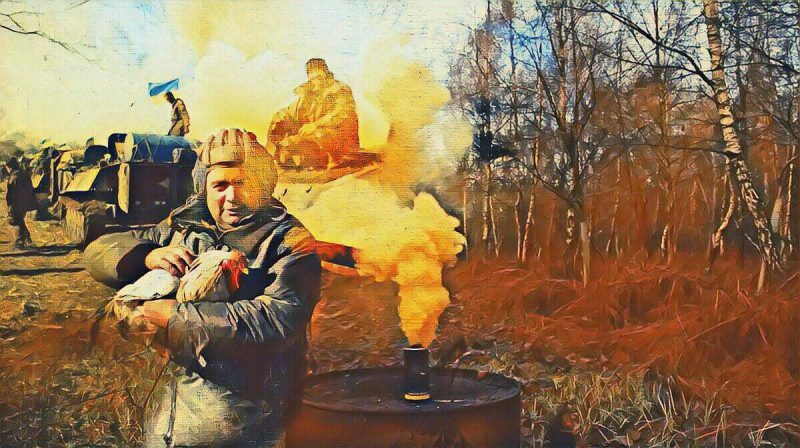 This “creeping offensive” aims at drawing the Ukrainian forces closer to the DPR territory in order to secure better positions for the regular shelling of towns and villages. In early October, the military commanders of the DPR warned that an offensive was prepared, which Kiev planned to start after the murder of the DPR leader Aleksandr Zakharchenko on August 31, 2018. This entry was posted in News from Ukraine and tagged Classical War, DPR, Joint Centre for Ceasefire Control and Coordination, Ukraine. Bookmark the permalink.